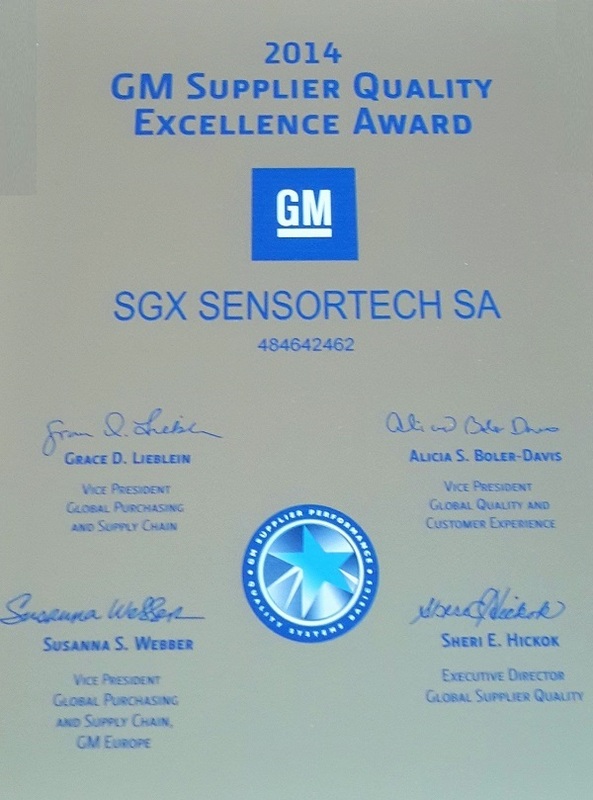 SGX Sensortech achieves GM Supplier Excellence award for the third year running. We are very proud to announce that, for the third year running, SGX has achieved a Supplier Quality Excellence Award from General Motors. The award is given annually by General Motors to suppliers who make a significant contribution to GM’s goal of providing the best overall customer experience in the automotive industry. To be eligible for such an award, suppliers must meet a number of criteria including zero late deliveries and zero plant disruptions across a 12 month period. SGX Sensortech is a leading manufacturer of air quality sensing products to the automotive industry. Our products are an integral part of advanced air conditioning systems, continuously sensing the quality of air inside and outside the vehicle allowing intelligent control of ventilation systems.